Number of pages: 404 p.
He new her somehow. And he knew she wouldn't harm him. It made little sense. When they talked, as sharp as her words usually were, he felt at ease, as if he could say anything. An she must have felt the same. I know I have said this before in one of my reviews, but I will say it again. This is going to be one of the hardest reviews to write ever. No because I didn't like the book, but because I just don't know where to start telling you how special this book is. I would like to do this book justice by my review which seems impossible, since now words can describe how great it is. Funny thing to say about something that was written. I just don't posses Sarah J. Maas's talent for storytelling. So let's get to it then, can I just say: THIS BOOK IS AWESOME PLEASE READ, and be done with it? No that is a bit rude, isn't it? From the moment I picked up this book I was hooked, stopping seems impossible. The main character is Celeana Sardothien, an assassin that is now working of her depth in the salt mines in Endovier, until the day the crown prince Dorian offers her a chance to regain her freedom. It is right there in Endovier where the story starts and we get to meet the slightly arrogant Celeana. I have always loved books with a stong female lead, so I was bound to love this. And I did, I got in a state-of-mind were I forget to eat, drink and do all stuff that I had planned. Something that hasn't happened since reading Twilight or L.J. Smith's work. Please note that this is merely a comparison about the way the book seems to absorb me. The above mentioned works are not to be compared to this book based on content. This book is set in Erilea, a world ruled by a vicious manipulative king. During the course of the book we get to know a little bit about the world Celeana, Chaol (the captain of the Guard) and Dorian live in. Not the easiest world to live in, since the King of Adarlan rules with an iron fist. Everyone who disagrees is thrown in one of the labour camps, like the salt mines of Endovier. The story told through Celeana's point of view for the most part, but we get to meet some of the side characters as well. Chaol the handsome captain of the guard who is responsible for training and guarding Eleana tells part of the story as well, so does the crown prince Dorian. This makes for a round story, their point of views really added a great deal to the story. 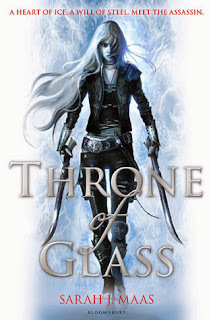 I know Throne of Glass is/has been a big hype in the English speaking world for a long while. And I have read lots of reviews about this already, but the thing that originally drew me in was the amazing cover. I bought an ebook version of this for like USD 1,- or something and was so astonished by the layout that I ordered the hardcover version right upon finishing the ebook. And continued to buy the rest of the series as it came out. Now being the proud owner of 6 beautiful hardcovers, I sometimes just pick them up from the shelf just to look at how pretty they are. This novel is full of surprises and full of action, not ever a dull moment. 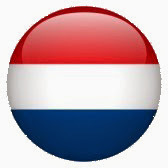 It is fast paced and gives us an introduction in Erilea, the new world that was created. A world where magic is banned, a world of which we only scratch the surface in this first installment. And a world I am begging to return to as soon as possible.